Do you have something special you enjoy doing when you’re on holiday? Maybe you like to go to the beach, or visit an amusement park, or just hang out with your friends. Eleven-year-old Mariah Fisher likes to do all of those things too. But occasionally she spends her school holidays doing something very different. Her father, Richard Fisher, is a photographer and canyon explorer and sometimes he takes Mariah on expedition with him. Together, Mariah and her dad have explored many canyons in the United States and in Mexico. 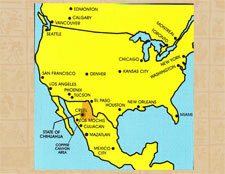 One of Mariah’s favorite places to visit is the Copper Canyon in the state of Chihuahua, Mexico. 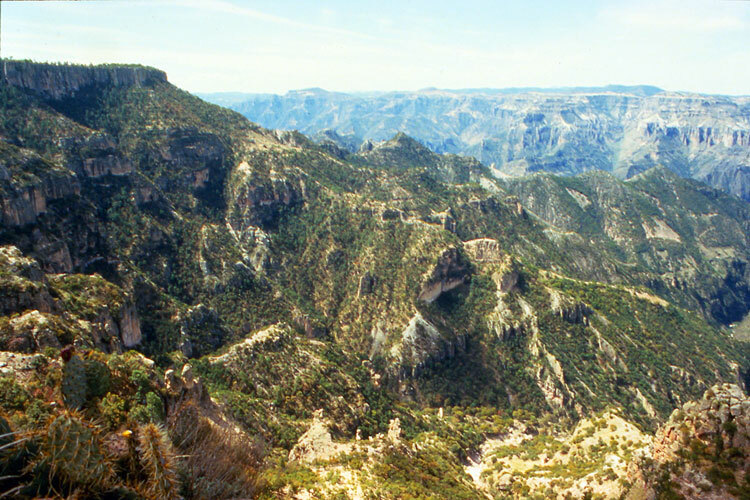 Located just 300 miles south of the border with the United States, the Copper Canyon is home to the Tarahumara (pronounced TAR-hu-MAR-a) Indians, the largest group of North American Indians who still live a traditional lifestyle. 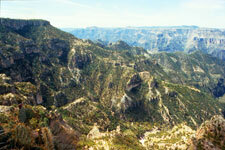 In many ways, the Copper Canyon is a land forgotten by time. A wild and untamed place of deep gorges, soaring mountains and roaring rivers, it is actually a series of canyons, some deeper than Arizona’s Grand Canyon. Bright parrots call from the trees and mangos and papaya flourish in subtropical canyon depths while snow covers towering mountain peaks above. 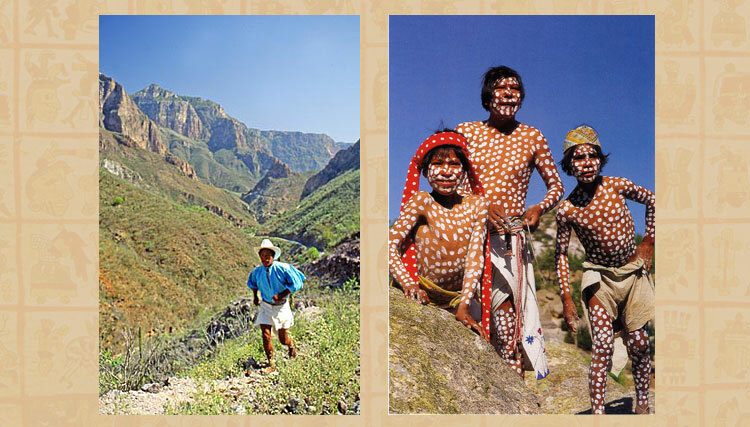 The Tarahumara, whose population is estimated at 40,000, still live much as they have for the past 300 years. Many follow a semi-nomadic lifestyle, moving higher up in the canyon during the summer and down in the winter to take advantage of climatic changes. 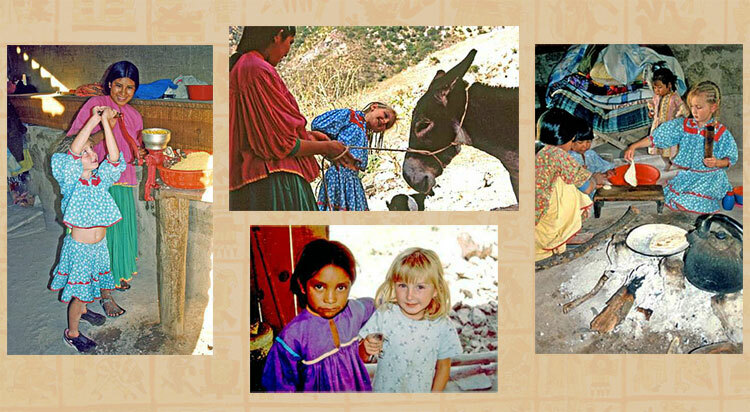 The Tarahumara are an agricultural people, with corn being their primary crop. Beans and squash are also commonly cultivated. 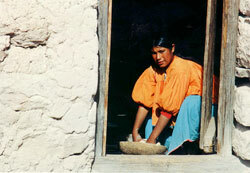 Most Tarahumara families live in compounds, or ranchos, as they are called in Spanish. A rancho consists of a one-room home made of logs or rocks, a granary used to store corn, a chicken coop and a corral for goats or other livestock. The arable plots of land are small and often on very steep slopes. But they are carefully tended and, at least until lately, usually produced crops. 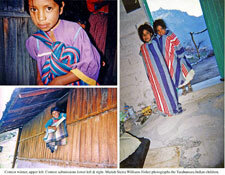 But because of serious droughts in recent years, the Tarahumara have suffered numerous crop failures. Some years the situation was quite desperate, and many people, especially children, didn’t have enough to eat and became seriously malnourished. 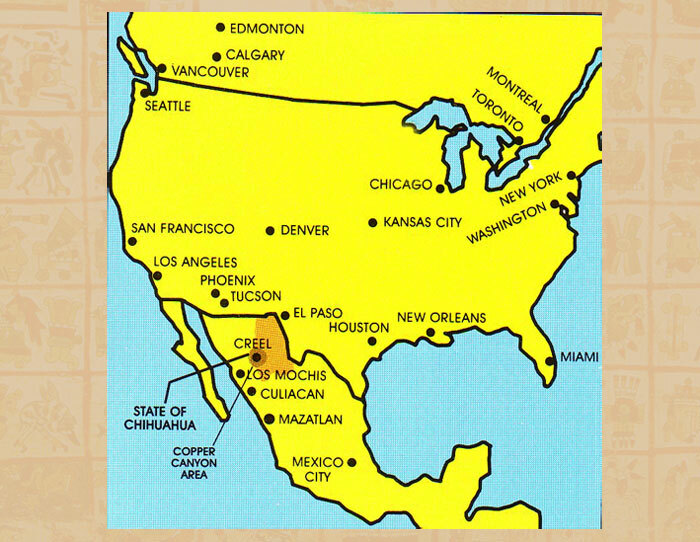 At one time, the Tarahumara inhabited a much larger region. But when the Spanish arrived in the New World—and later as the Mestizo (people of mixed Spanish and Native American heritage) population grew—the Tarahumara retreated further and deeper into the rugged canyons. In this way, they avoided assimilation, but lost some of the better farmland. 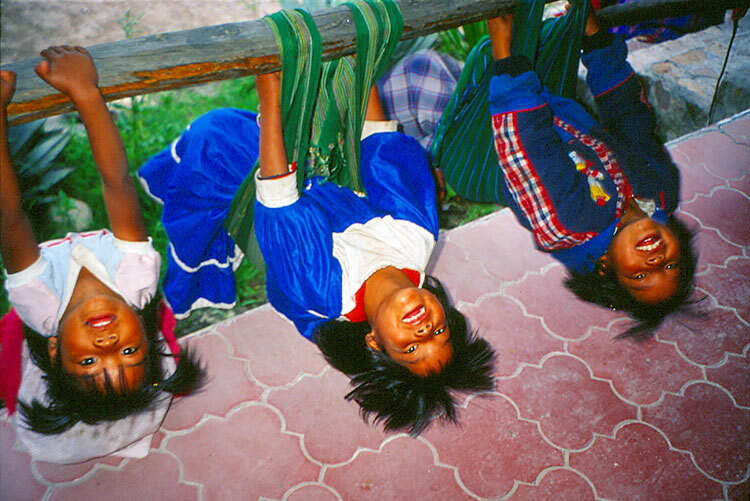 Still, the Tarahumara always maintained an open mind to what outsiders might have to offer. 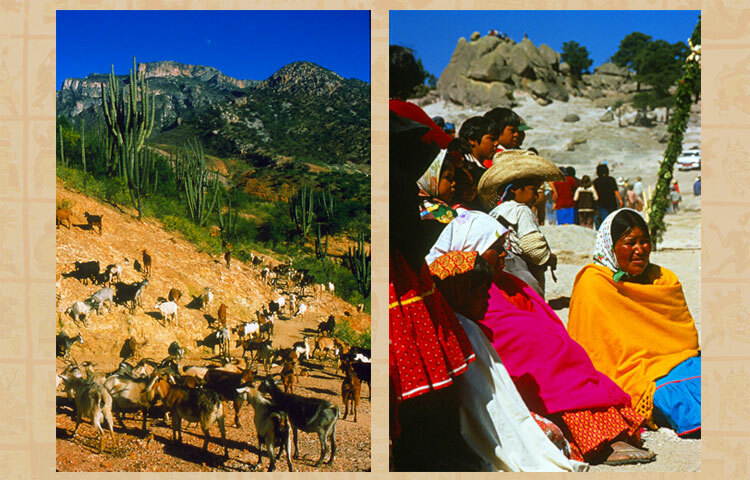 The Spanish introduced cows, horses, oxen, mules, burros, and sheep, which are now widely used by the Tarahumara as well. Wheat was added to the traditional Tarahumara crops of corn, beans, and squash, and they also began growing fruits and vegetables such as apples, oranges, peaches, and potatoes. Inspired by the Spanish, the Tarahumara began making—and playing—wooden violins, in addition to their traditional hide-skin drums. 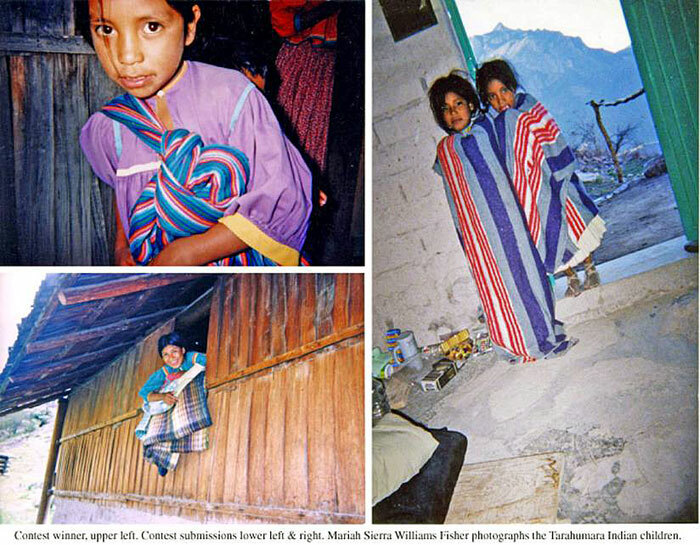 Even the billowy-sleeved shirts still worn today by Tarahumara men are directly descended from those worn by the Spanish soldiers, and the colorful dress of Tarahumara women is reflective of the styles of colonial Spanish women. Iron tools, especially the axe, facilitated new and better construction of houses and other wooden implements. 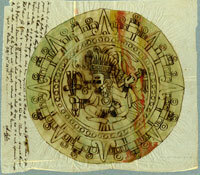 Spanish religion and political systems were selectively integrated as well. The Semana Santa ritual is the Tarahumara’s spring celebration, which coincides with Christian Holy Week. Here the Catholic rites have been interwoven with the Tarahumara’s native beliefs and prayers for rain and an abundant harvest. The general idea is for God or Tata Dios to awaken slowly and see his children—the Tarahumara—behaving as they should. Then, they believe, Tata Dios will wake happy and send rain to the earth for their crops. As a sort of divine “alarm clock,” the Tarahumara begin beating their drums at select intervals in early February, building to a crescendo of drumming and dancing at Easter. 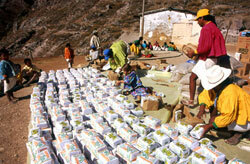 These festivities bring the whole village together and everyone plays a role. Another important aspect of Tarahumara life and culture involves running. 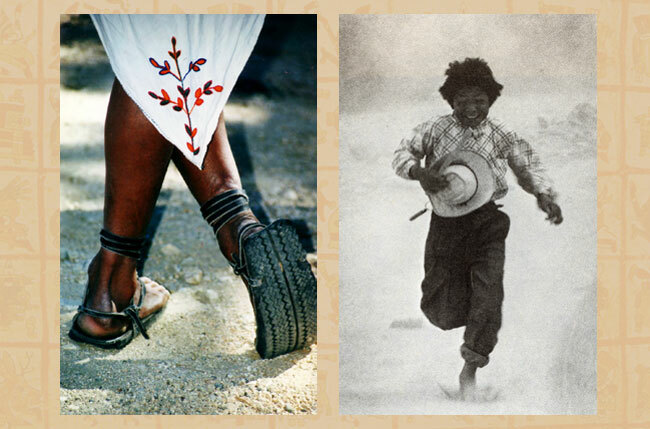 The Tarahumara’s name for themselves Rarámuri, which means “the foot runners,” and their reputed endurance is legendary. 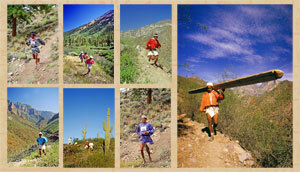 It is believed that the Tarahumara once served as messengers for the Aztecs. 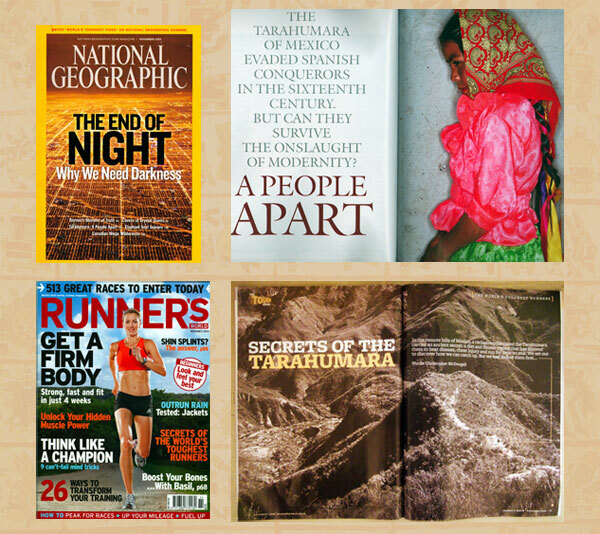 Another story concerns the Tarahumara’s ability to run down a deer. They couldn’t run faster, but they could run longer, until the animal dropped from exhaustion. 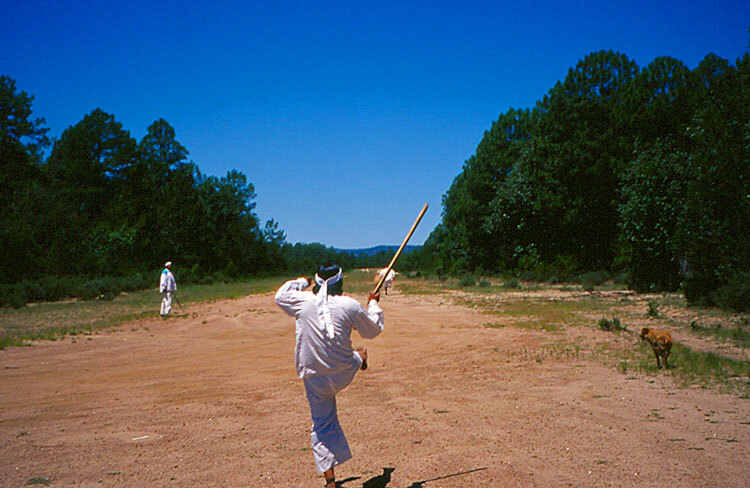 Even today, a primary form of recreation is a kickball game known as rarijipari. Two teams of men race against each other in contests that have lasted as long as three days and covered some 200 miles. The women race too, though their races are shorter and they fling a fabric-covered hoop with a stick rather than kicking a ball. Children learn to run almost as soon as they learn to walk. Walking—or running—is the best way to get around in the rugged canyons. Not infrequently, a solo traveler will be kicking a ball as he goes, just to alleviate the boredom. 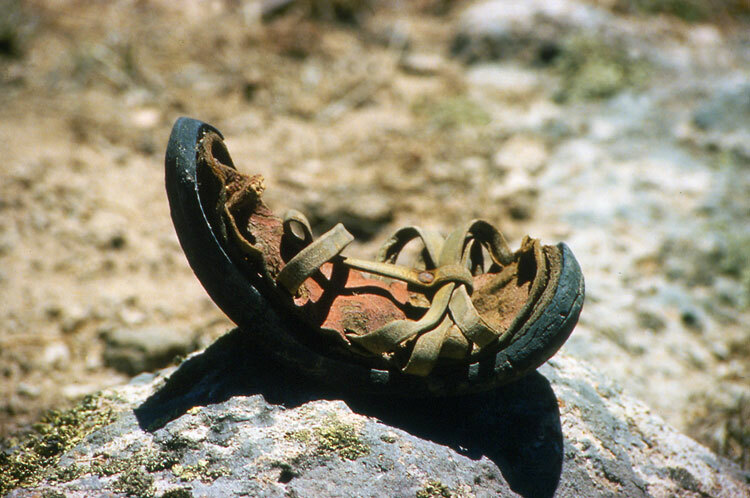 While the Tarahumara Indians suffered many of the same atrocities as native peoples everywhere, for them, the result has been different. For centuries, they have successfully maintained their traditional lifestyle and culture by retreating ever deeper into their canyon fortress. However, recent long-term drought, combined with the effects of deforestation and pollution by outside interests, has made their continued existence increasingly difficult. Perceptive articles on the Tarahumara appear in two leading popular magazines: National Geographic and Runner’s World.